NOTD: Bashful meets the Hunter - Cherry Colors - Cosmetics Heaven! It was time to change that pink manicure (since it chipped and well one layer of the same nail polish over lasted only for a couple of days more), and I saw this gorgeous combination on another blog. I only wish I didn't bump it so many times (baby woke up in the middle, so my manicure looks only decent). I like it! It looks so festive! 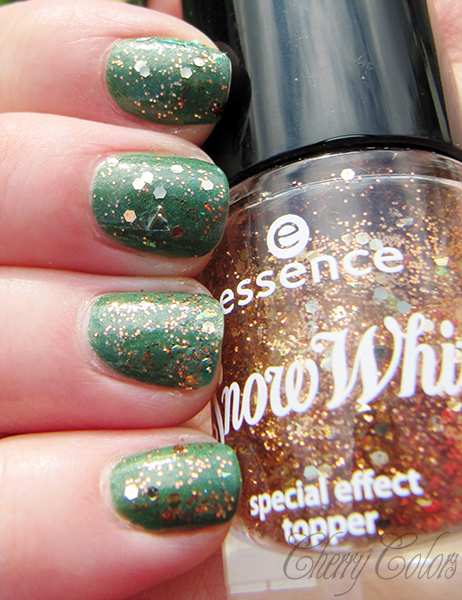 You can see all the swatches of the Essence Snow White collection here.